iRig 2, Audio or MIDI interface for tablet/iDevice from IK Multimedia in the iRig series. The new version of the IK Multimedia iRig guitar/bass interface that was introduced at NAMM is now available for purchase. Wether you have an iOS, Android or Mac device/computer, you can now use the iRig 2 audio interface for guitar and bass on all platforms. The iRig 2 retains the headphone output from the first version but adds an input volume control and a 1/4” output to send the signal to an amplifier. 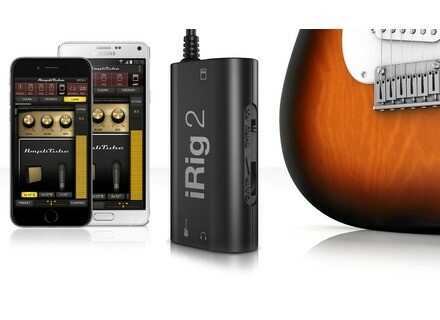 The iRig 2 allows for using the AmpliTube amp and effect modeling and send them, or not, the the amp via an FX/Thru switch also available on the small box. 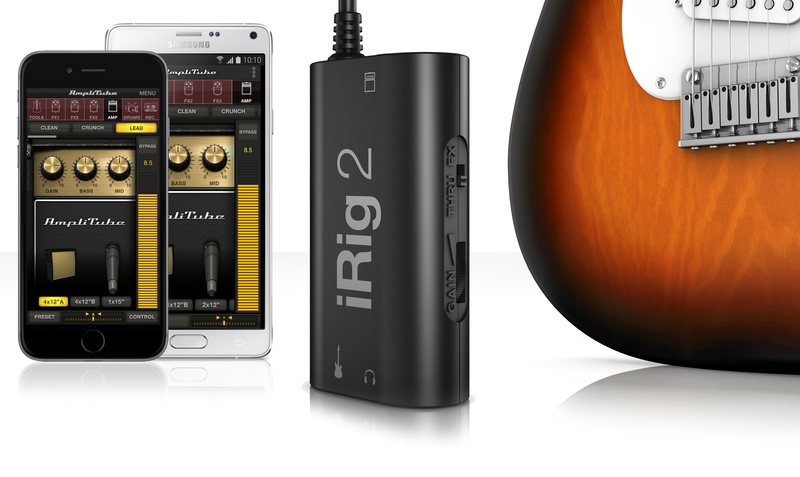 The iRig 2 ships with AmpliTube Free for iOS, Android and Mac/PC. NCH Software Spring Sale NCH Software is offering in March about 30% off a selection of audio and video software, including their MixPad DAW. Tone2 is working on Saurus 2 synth Tone2 announced on their forum that they are developing version 2 of their Saurus “analog modeling” synth. Waves releases Butch Vig Vocals The vocal processor developed in partnership with Butch Vig and that Waves introduced at NAMM last January, is now available.